The holiday season is upon us; which means spending lots of money on the season’s hottest trends, right? Luckily, this is not necessarily true. You can still get this season’s latest and greatest beauty and fashion trends without emptying your wallet. The trick is to become a smarter shopper. First, consider cashing in on any reward points you may have from credit cards or other sources. Often, you can trade points for gift cards to your favorite stores. Second, use coupons. There are coupons for everything these days from beauty products to clothing. Many of your favorite stores may already be emailing you coupons almost on a daily basis, and instead of deleting these emails you should be printing them to save some cash. Finally, look for rebates. This is not to say, buy something simply because it offers has a rebate, rather if you are planning to make a purchase look to see if any stores or companies are offering rebates on that particular product. 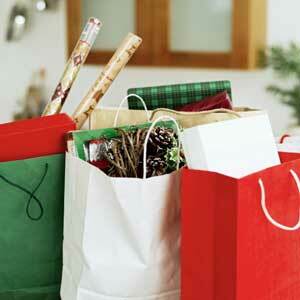 The holidays can be stressful with everyone being stretched a bit thin when it comes to money. However, by becoming a smart shopper you can save yourself hundreds of dollars. So, before you hit the stores this season to shop for the people on your list make sure to turn in those rewards, print or clip those coupons and hunt down rebates. You will soon be singing along to your favorite carols if you try these three ways to save.